Number 1 on our Top 20 most common skin conditions is very common amongst teenagers, but it often plagues adults up to age 40 as well. 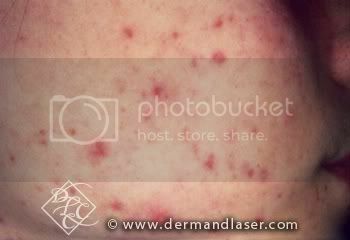 Acne, the term for plugged pores, or blackheads and whiteheads, pimples and deeper lumps called cysts or nodules, occurs when bacteria break down the oils in the skin. Irritating substances are produced that activate the body’s immune system to produce inflammation and redness. Fortunately, nearly every case of Acne can be resolved with the right skin care regimen. For more information and treatment options, please continue reading here.